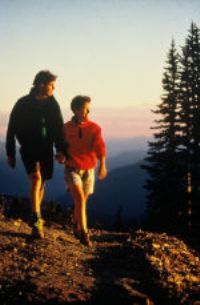 Venture into the wilderness this spring, summer and fall to explore the beauty of the Sea to Sky Corridor. Spanning from Squamish past Pemberton there are a multitude of trails, lakes, ridges, waterfalls and summits waiting to be explored. There is something for everyone. It is our goal at the Whistler Alpine Guides Bureau to find the adventure that is best suited to you. Our hiking guides are dedicated professionals committed to providing you with an exceptional hiking experience.